This laptop for Malaysian consumers is special. Samsung's Exynos 5-based Chromebook which was made available since last October, now comes equipped with WiMAX radio with 4G chipset pre-installed in it. Yes on Wednesday, launched the world's first Samsung 4G Chromebook. Developed by Google and Samsung, the 4G Chromebook enables everyone to live, learn, work and play in a simpler, smarter and lighter way. "The Samsung 4G Chromebook will be the first device for many people. It is affordable, secure and always connected to the Internet. No one will be left out of the Internet age," said YTL Communications Chief Executive Officer Wing K. Lee. "I am particularly excited at the pace at which 4G connectivity is being rolled out throughout the country. What's happening in Malaysia can be a role model for many other countries around the world." 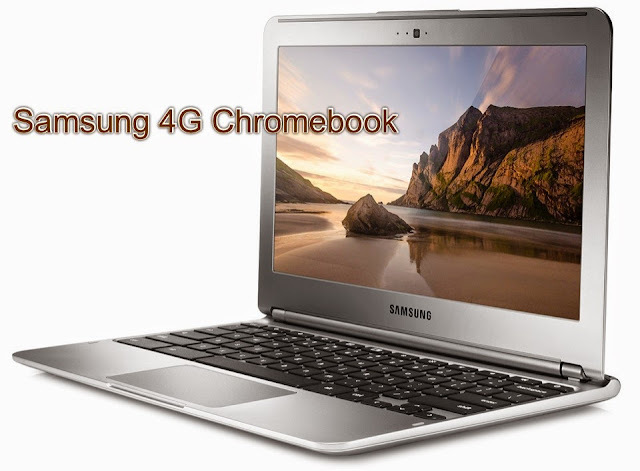 The Samsung 4G Chromebook comes with a built-in 4G chipset that enables seamless and always-on Internet. It is designed from the ground up to work with Yes IDs, providing high-speed mobile Internet connectivity of up to 20Mbps on the Yes 4G network. The Samsung 4G Chromebook boots in seconds and comes with popular Google apps like YouTube, Gmail and Drive so users can work and play right out of the box. The Samsung 4G Chromebook also comes with 100GB of Google Drive storage that is free for two years. Unlike other computers, it keeps getting faster over time with seamless updates and built-in virus protection. Perfect for those on-the-go, the Samsung 4G Chromebook is one the lightest laptops on the market weighing in at just 1.1 Kg and a 17.5 mm thin profile with a 7-hour battery life. The Samsung 4G Chromebook retails at RM988 with a 24-month RM88 postpaid plan which comes with a monthly data quota of 3.5GB. The device alone retails at RM1299. It is now available at Yes Stores nationwide and its online store shop.yes.my. The device is also available to 1BestariNet Yes ID holders through the FrogStore at frogstore.my and at Bestari roadshows nationwide for RM988 with 24-month RM69 plan which comes with a monthly data quota of 3.5GB. dimana boleh dapat yang ready stok d Kota Kinabalu Sabah?